School trips to Prague offer layers of excitement, culture and history. This city is both modern and traditional offering medieval architecture of castles and palaces, and a bohemian atmosphere with its many lively cafes, bars and restaurants. Behind the ancient facade is a city that has been rapidly modernising since the Velvet Revolution, which took place in the late eighties. Privatisation and Capitalism are both evident in this city, offering business students a unique insight into both hi-tech and traditional companies. Prague also appeals directly to students of the arts as there are galleries, high profile film studios and art nouveau architecture. 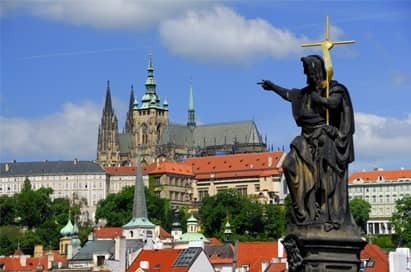 This half day guided walking tour takes students through the historical Old Prague and shows all the main sights such as Prague Castle, Lesser Town, Charles Bridge, Jewish Quarter, old Town Square, Little Square and Wenceslas Square. The guide will explain about the history of all the sights and give general information. Prague Castle should be the number one tourist destination for any school trip to Prague. It resembles a small town itself as it is the largest ancient castle in the world, measuring a whopping 570m long and on average 128m wide. The Czech kings, Holy Roman Emperors and presidents of the Czech Republic all used the castle as a place of work. A guided tour of the Jewish quarter shows the history of the area and the heart of the Old Town, the Old Cemetery, the synagogues and the Golem. The guide will explain about the history of the Jews since the 2nd World War. The tour includes entrance to the Maisel, the exhibition space and depository of Jewish Museum. Many of Prague's famous sights border the river so a river cruise is a great way to see the city. Attractions include Charles Bridge, Prague Castle, Prague Parliament, the National Theatre and Vysehrad Fortress. A one hour cruise is a great sightseeing option or take a two hour cruise with buffet dinner as an evening activity. Czech ice hockey is among the world's best, and though the nation's superstars mostly play in the North American National Hockey League, the domestic O2 Extraliga offers the ice hockey experience at great value prices and is a great way to entertain your students in the evening. Language barriers are not a problem with this typically Czech art form, as most of it is pantomime. 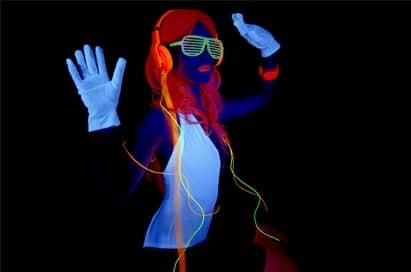 It is played out in a varied programme of shows and takes the audience on a path from total darkness to vivid lights and colours in the extreme. The intense darkness of black theatre adds to the fantasy. This medieval town is located 80km to the east of Prague, and was historically the richest Czech medieval town. 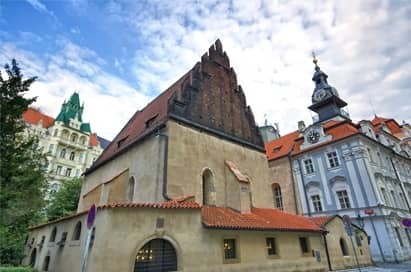 Kutna Hora is UNESCO listed with its many church buildings, and the mint established their coined Czech groschen here and students can savour this and purchase the coins. 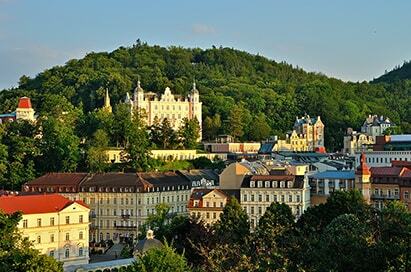 Karlovy Vary is a scenic spa town situated 120km west of Prague. The healing spring waters of the Hot Spring Vridlo are renowned for treating a range of ailments. The town also has a theatre, art galleries, casinos and the Museum of Glass and China.